Dear friends, we share another #ThisIsHowITC story from a landlord in California. 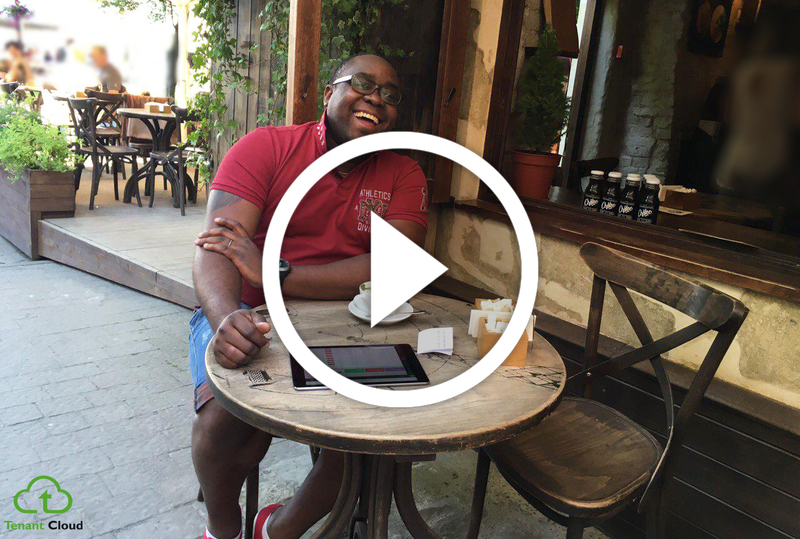 Jerome, thanks for letting us share your story and we hope all can find more time to do what they love as they save time and money using TenantCloud. I bought a home in southern California after landing a great job and later bought a small two bedroom house. All was great until my girlfriend got a job in Florida. We did the long distance relationship for a while, but eventually I was able to get a transfer to Miami where we live together now. I originally planned on putting the house up for sale, but because it was December my realtor friend told me to wait until spring and rent it out in the meantime. This was the beginning of 2015 and I didn't’ know a thing about being a landlord. While looking into ways of marketing my house I found you all. I couldn’t believe that I could post my property on all those sites for free. When I got my first application from a tenant on the app it was so exciting, but then I started getting too many. The family that is renting now has been there the whole time and come spring I just couldn’t sell because it was too easy to rent. They pay rent right in their account and I don’t have to worry about anything. I love playing in the charts and running reports on the property to see my pay back over time and comparing that to the value increase of the property. I didn’t know it was possible to rent out my house from another city, but TenantCloud you have made this possible. The best part is I now work with a local property manager who takes care of any service needs that arise, so when I get automatic reminders that I need to check the smoke detectors or the tenant send me a maintenance request for when the air conditioner broke I just select the My Pro in the app and send it to the management company who goes and takes care of it and then I can see the status of the work being done. I actually thought everyone uses TenantCloud, but met a neighbor here in Miami Lakes area that has a rental just down the street from us and he was constantly talking about how much he has to work on his rental. When I found out that he does everything on his own has to give the tenants an application in paper, collect rent himself and is constantly getting calls and texts - I was shocked. Of course, that is when I shared with him what I use and not only is he using TenantCloud, but he just bought his fourth rental property. I love getting up on a Sunday morning, getting a relaxing cup of joe and running my landlord businesses of one rental on the other side of the country. Thank you for making this possible. This is how I TenantCloud. We are so tickled pink to be part of helping people have more time to do what they love. Reading your messages inspires us to keep making TenantCloud better. We’ll be reaching out to more of you about your stories you’ve experienced. Let’s change people’s lives together!